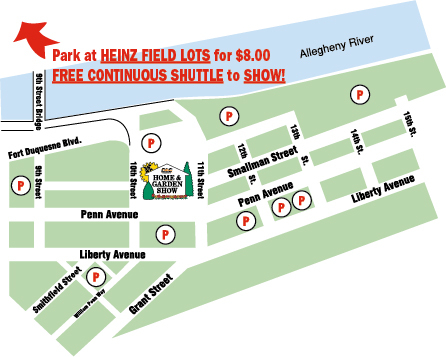 Park at the Heinz Field lots for $8.00 (ALL DAY!) and ride the FREE CONTINUOUS SHUTTLE to the Show. Pay $8.00 to park ALL DAY.